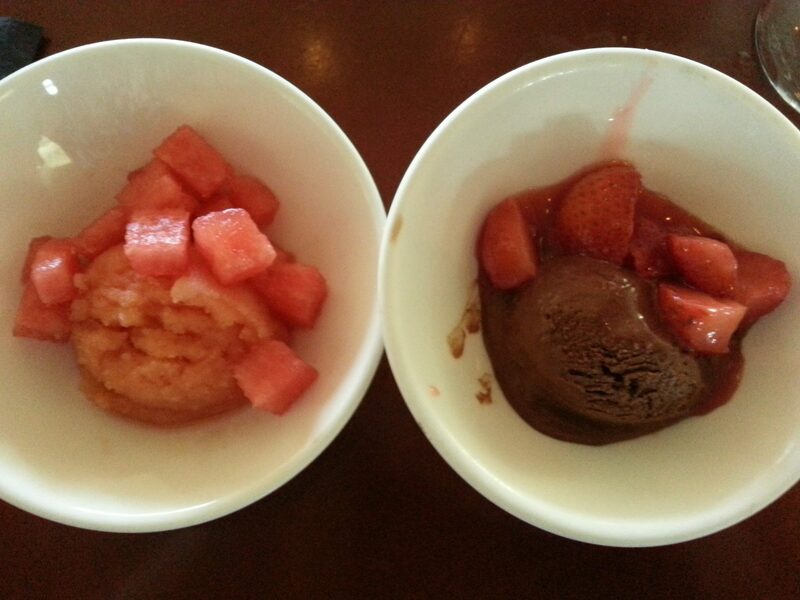 Like the yin and the yang, there are two things that seamlessly go together- summer and ice cream. Lucky for us, we got to enjoy some savory sweets just in time for the close of national ice cream month. If the weather and views aren’t reason enough to head down to Marina Del Rey, then this local gem certainly is. Inspired by the coastal towns of the Mediterranean, the food at CAFE del REY is about discovery, simplicity and quality of ingredients. 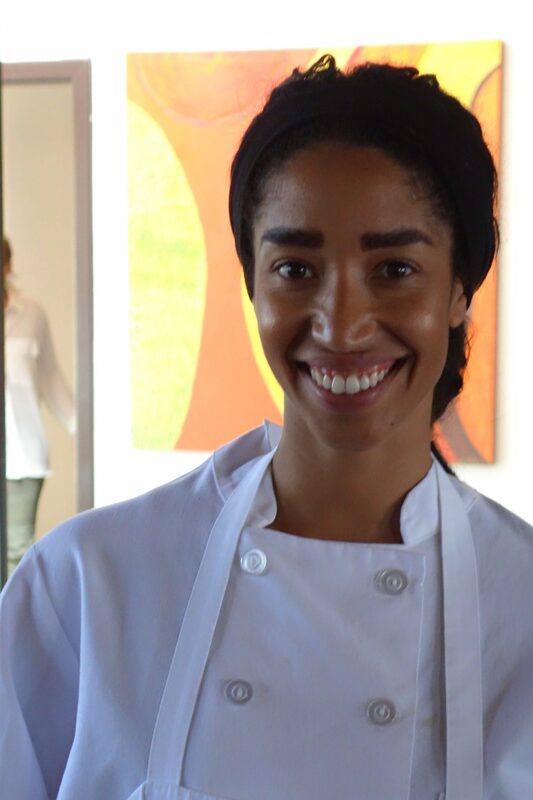 Pastry Chef Tonye Dunn makes no exceptions when it comes to the quality of her craft and she cooks up quite a dessert menu that has people noticing. Her most recent venture is the creation of a non-traditional ice cream and sorbet menu that uses fresh and local ingredients. She typically concocts new flavor profiles every three weeks and highlights seasonal ingredients that complement each other. We got the chance to taste a plethora of flavors that pleased all of our taste buds. Surprisingly, most of the ice creams and sorbets stay true to their flavor and are made by cooking down the primary ingredients in two rounds. In celebration of national ice cream month, our ice cream social menu had both savory and sweet flavors that you really have to taste to believe. 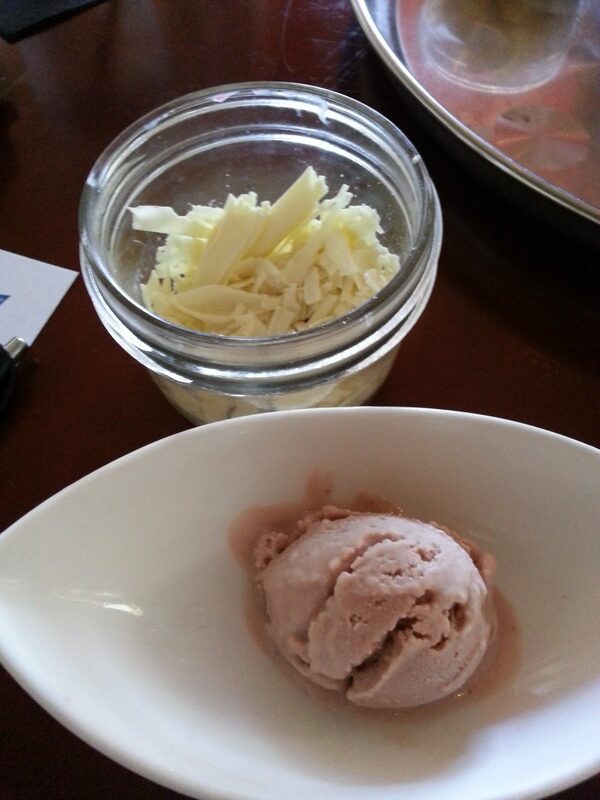 First round: Chef Tonye brought us Red Beet and Blueberry ice creams. 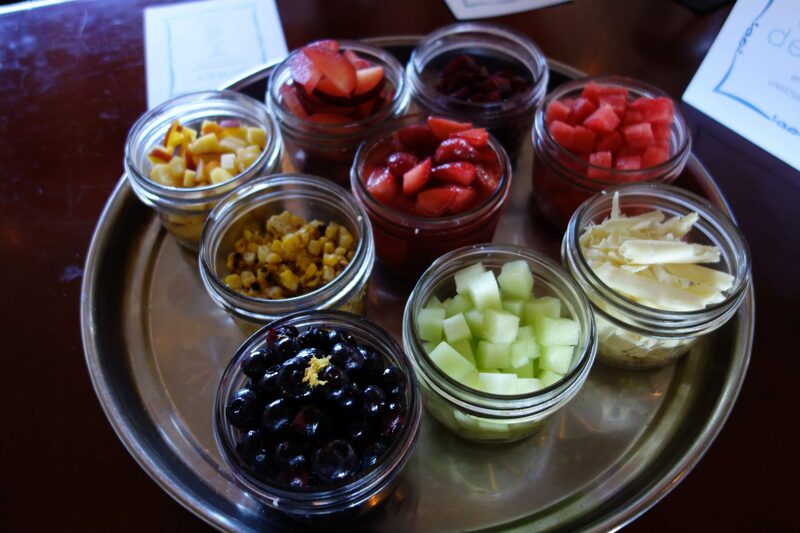 In addition, we had an assortment of toppings that were chosen to pair with certain flavor profiles. The blueberry was very light and subtle in its taste, but still creamy and delicious. 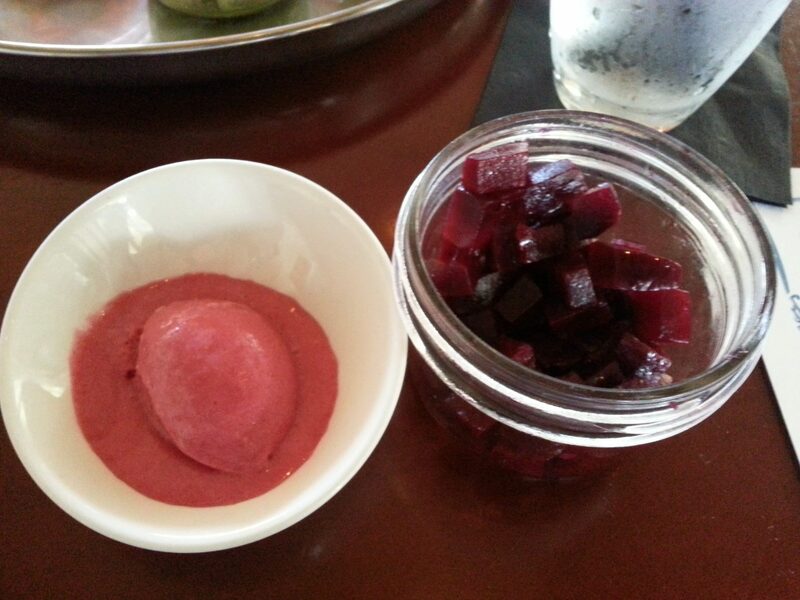 The red beet was quite a surprise, as I thought I might not like it, but it turned out to be one of my favorite flavors. We topped off this one with fresh cubes of beets to enhance and compare the organic-ness of the flavors. 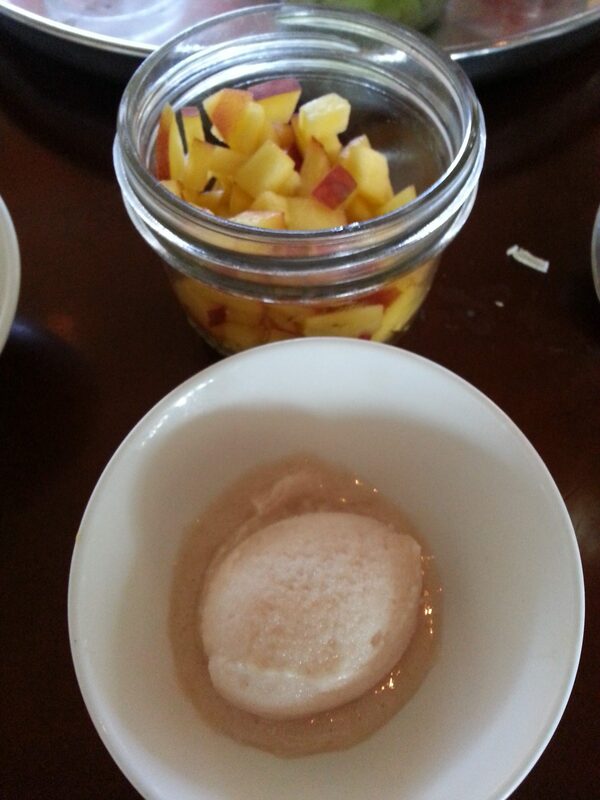 A hint of lemon in the beet ice cream gave this a refreshing and zingy aftertaste. Round two: corn and strawberry ice creams. Again, I was pleasantly surprised when I tried the corn flavor. It was topped with freshly grilled corn and tasted like a slice of corn soufflé heaven. 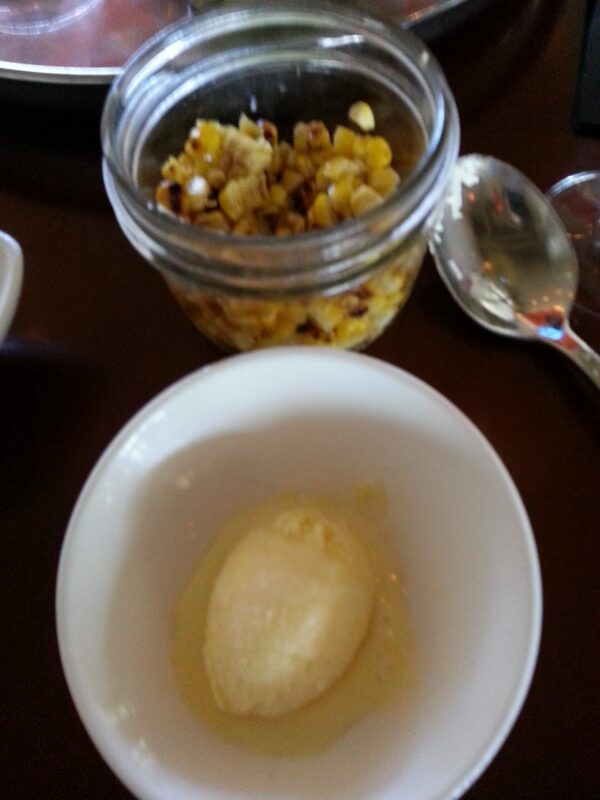 Think creaminess of a corn soufflé, added with the delicious taste of dairy. The strawberry ice cream was topped with shaved white chocolate pieces and was a very light take on the strawberry classic. We then changed our pace and moved on to try a few sorbets. Starting with peach and mango, my mouth was watering. 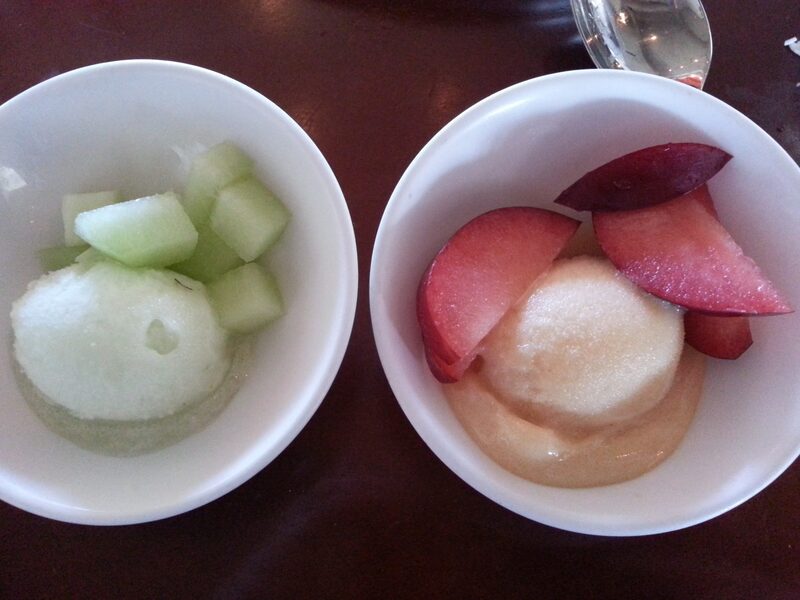 These were followed with honeydew, plum, watermelon and chocolate. Not to anyone’s surprise, the chocolate was a favorite. Made with dark chocolate, we topped it off with fresh strawberries and quickly indulged. 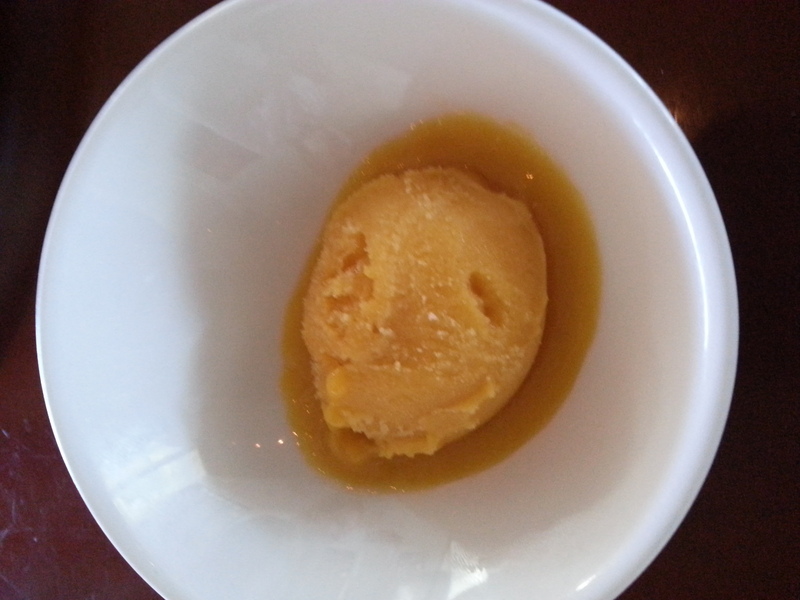 Although it was a sorbet, the flavor profile was incredibly rich and tasted like a flourless chocolate cake. The grand finale of this delectable tasting ended with the sweet and savories. 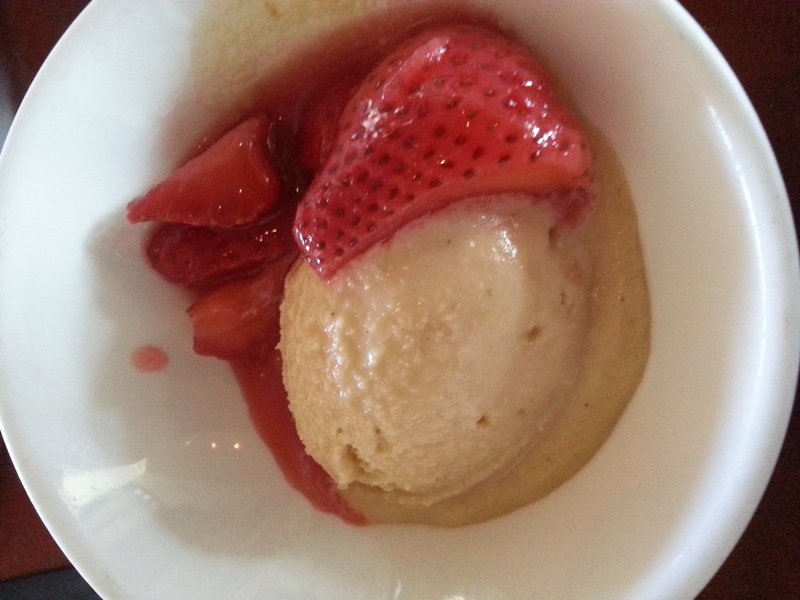 First we enjoyed the peanut butter ice cream, made with salted peanuts and peanut butter. This was truly like taking a bite of a Reese’s peanut butter cup….but better! The richness mixed with the salty undertones made for the perfect sweet treat. And when we topped it with the strawberries, it suddenly became a peanut butter and jelly sandwich. But if that wasn’t enough, the real kicker was our final serving, bacon ice cream. If there is one way to hit all taste buds this is it. The bacon ice cream is made from the left over drippings of their in-house maple bacon. With that being said, beyond the savory-ness of bacon, there was an abundance of brown sugar flavorings and this was truly like something I had never tasted. Although a bit rich for my taste, I would recommend this to those daring foodies who aren’t afraid of trying something new. This was definitely a great way to end national ice cream month and I hope everyone gets a chance to try out these crazy, cool sweets. Additional ice creams and sorbets can be tried year around, as Chef Tonye Dunn mixes up her menu seasonally as well as every three weeks. If she’s really in the creative mood she just might whip up something off the cuff that isn’t listed on the menu. Servings are prepared in 2-3 scoop portions, where you can mix and match different flavors for a unique tasting experience. This entry was posted in Food and tagged bacon ice cream, blueberry ice cream, Cafe Del Rey, chocolate sorbet, corn ice cream, honeydew sorbet, Ice Cream, Ice Cream Treats, mango sorbet, Marina Del Rey, national ice cream month, Pastry Chef Tonye Dunn, peach sorbet, peanut butter ice cream, plum sorbet, red beet ice cream, sorbet, strawberry ice cream, Summer Sweets, watermelon sorbet by admin.